Bhaichung Bhutia (left) with Asok Bhattacharya (centre) in Siliguri on Thursday. Siliguri: In 2006 Assembly polls, he had campaigned for CPI-M’s Asok Bhattacharya. In 2016 Assembly polls he contested against Bhattacharya on a Trinamool ticket. And now ahead of the 2019 Lok Sabha polls, he is again rubbing shoulders with Bhattacharya! This, in nutshell, is the off-the-field stunts that Bhaichung Bhutia, the former skipper of the Indian football team, has been doing for over a decade now. In between Bhutia, 42, also unsuccessfully contested the 2014 Lok Sabha polls from Darjeeling seat on Trinamool ticket and, last year he floated his own political outfit Hamro Sikkim Party. 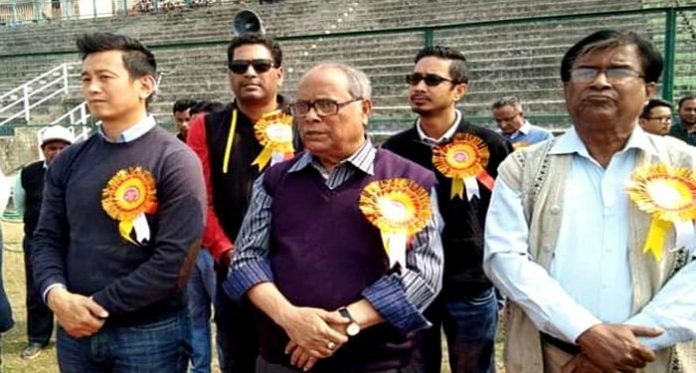 Bhutia, a native of Sikkim who these days is based in Kolkata, was in Siliguri to inaugurate the 24th Slum Sports organised by Siliguri Municipal Corporation. Bhattacharya heads the civic body in the capacity as Mayor. At the Kanchenjungha Stadium in Siliguri today both of them were standing shoulder to shoulder at the inauguration of the event. Asked by reporters whether this does not amount to a volte-face on his part, Bhutia maintained that politics and personal relations are different. “Politics apart, Asok-da is like my elder brother and that’s why I have come here at his invitation. He has supported me and guided me all through my football career,” the former footballer, who has notoriously played for both arch-rivals Mohun Bagan and East Bengal, said. 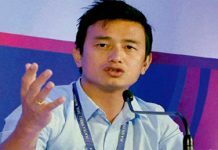 Bhutia, however, didn’t clarify now that he is no longer associated with the Trinamool and has his own party that is focused on Sikkim, whether he will campaign for the CPI-M in the coming Lok Sabha polls. 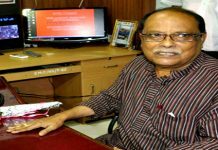 Asked to comment on the recent anti-CBI dharna by Bengal Chief Minister and Trinamool supremo Mamata Banerjee, Bhutia said that he is not an expert to make a comment. “It is her call: I have no expertise to comment on this. 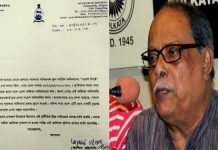 However, I believe a showdown between the state and the Centre like this is unfortunate,” the footballer-turned-politicians said, definitely not supporting Banerjee’s act.